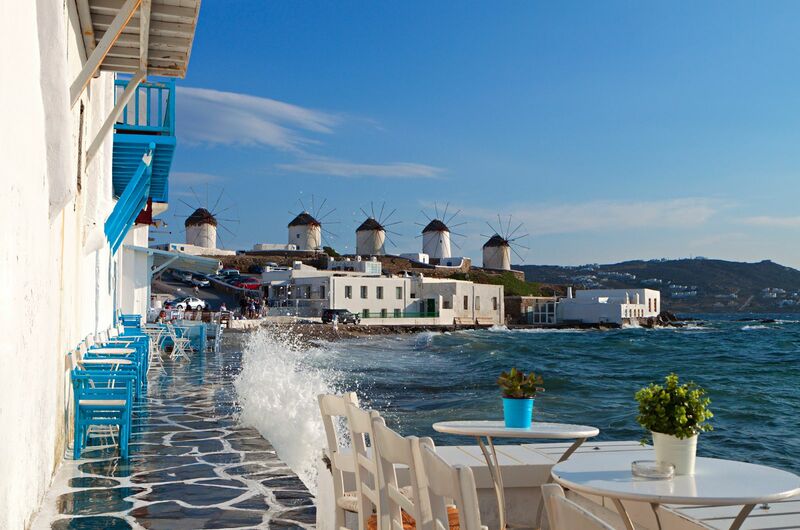 Perched within the turquoise waters of the Aegean Sea, Mykonos is one of Greece’s most famous little islands. North of the stunning island of Santorini, it’s an island that is incredible to visit. 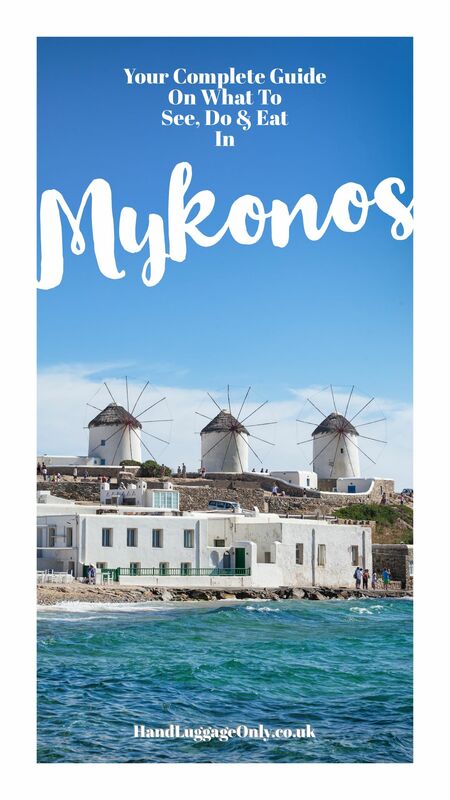 That being said, it can be tough (at times) to actually narrow down some of the best things to do in Mykonos, especially when there is so much to see. 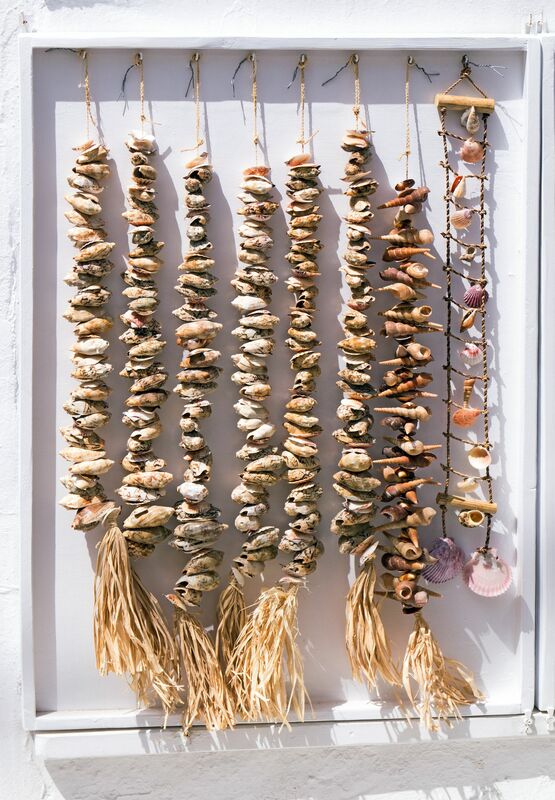 One of the things I love about Mykonos is that it’s tiny, it’s so small that it can easily be explored in a day or two (though, a few days longer is a must if you really want to experience island life). It’s the kind of Greek island you visit which has a perfect mix of charm, culutre and beautiful views. 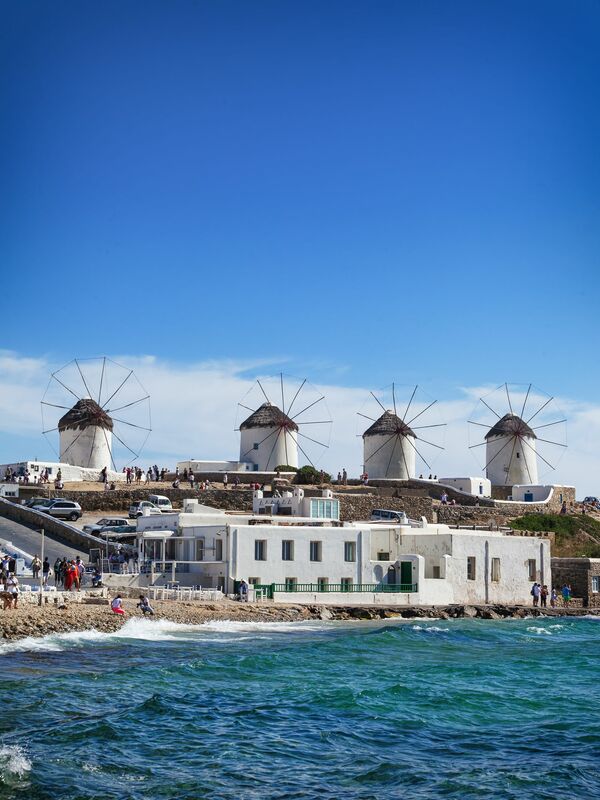 This is why I wanted to share some of the best things to do in Mykonos. It doesn’t matter if it’s your first, fiftieth or gazillionth time on the island, I’m almost certain you’ll have the best time. 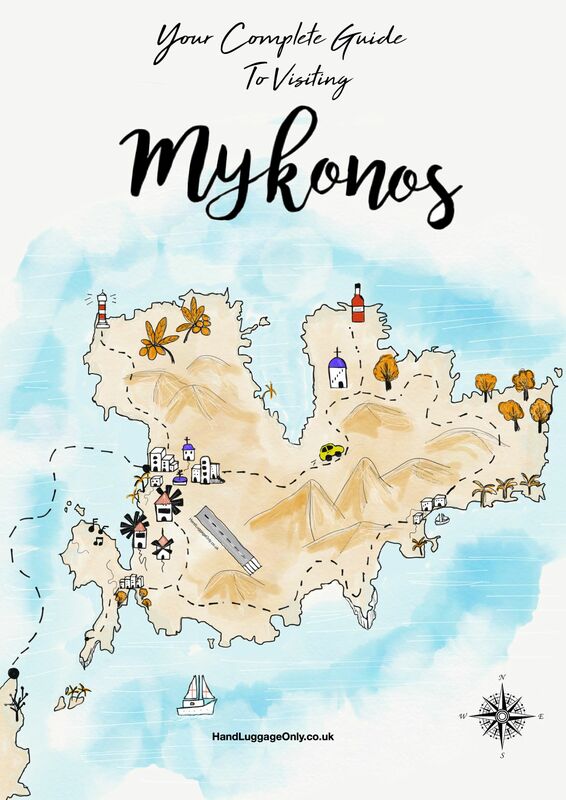 As I’ve been banging on about, Mykonos is a relatively small island but there are still plenty of ways you can get around the island that doesn’t involve hiring a donkey (unless you want to, obviously) 🤣. Moped: It’s pretty easy to hire a moped on Mykonos, especially with the correct license and a sensible driver. The best thing to remember is to always wear a helmet and drive the roads with a respectable amount of caution. There are lots of twists, turns, lumps and bumps that can easily surprise a new driver. If you’re not 100% sure about riding one, go for a taxi or bus instead. Bus: There are buses that scurry around the island, with the frequency being a little higher in the summer months. 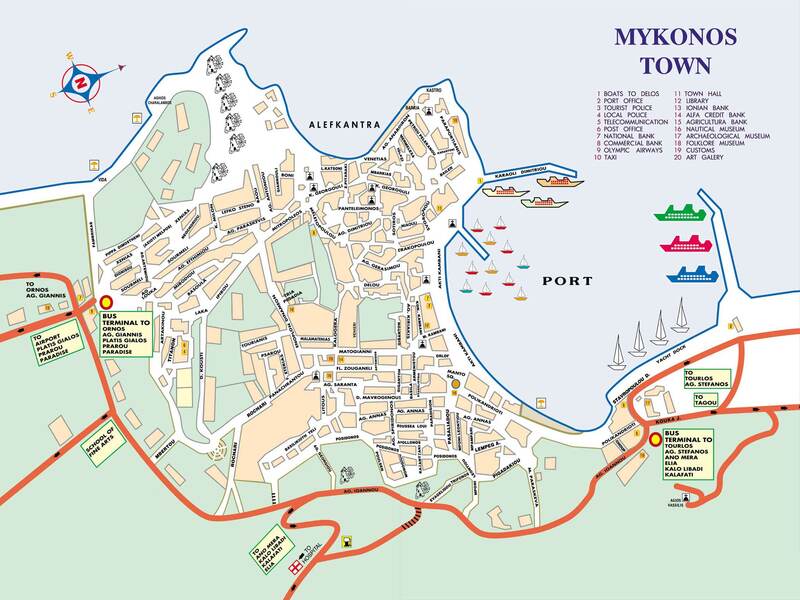 There is a bus terminal just off the yacht docking area (see the map here) in Mykonos town. kaiki: A Kaiki is a small boat that you can actually get to key points of the island, which is great to get to places like Platis Yialos Beach. You can also grab a Kaiki to head over to Delos Island and pick your tickets up at the port in Mykonos harbour itself. Greek food… where do I start? Greek food is the best. I’ve yet to find one Greek meal I don’t like (unless it contains mushrooms, yuck!). For a great island eatery, head over to Popolo for a tasty little lunch (try their Greek coffee, too). Also, if you’re looking for something a little fancier, M-eating creates some of the islands most delicious fine dining plates. Make sure to try their sea bass, it’s so yummy! Make sure to try some yummy, amygdala when you get to the island. Their sweet, crushed almonds that are too delicious to avoid. 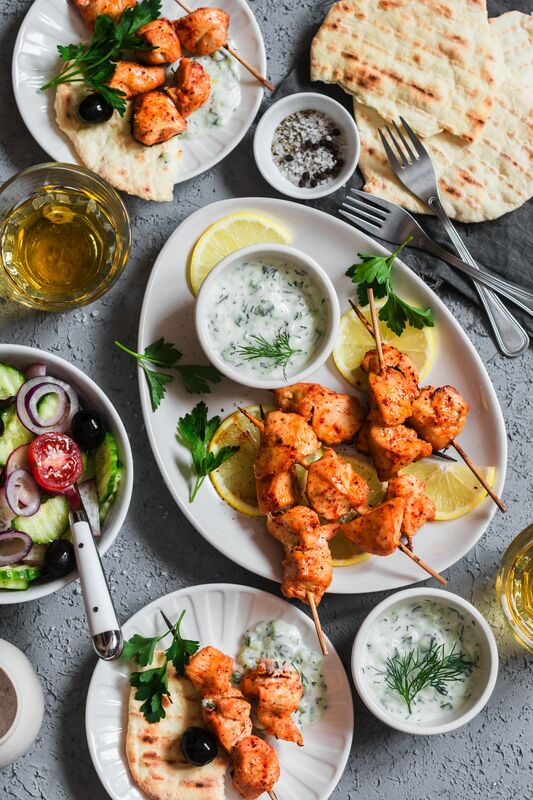 If you’re looking to try a range of authentic Greek cuisine, take a look at our post here that details some of the most hunger-inducing meals you’ll want to devour. 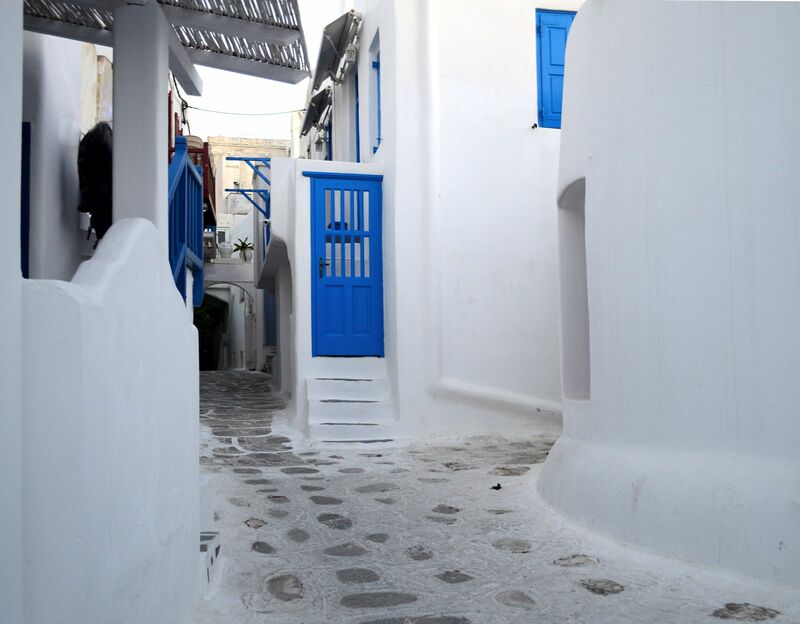 The great thing about Mykonos is that there are lots of little, intimate and cosy places to rest your head. For a cool, little hotel head over to, Villa Thelgo or the stunning, Villa Kampani. A truly relaxing and luxurious villa. 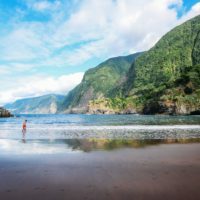 If you’re looking to keep costs lower, consider getting your own white-washed, stone, Airbnb apartment on the island which is especially good if you’re wanting to stay somewhere unique. 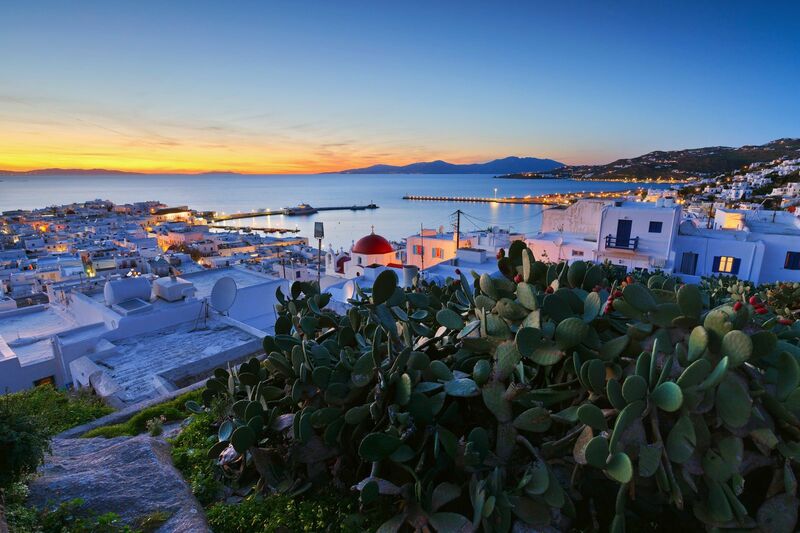 Mykonos Town is the largest dwelling on the island (and that’s still pretty small). 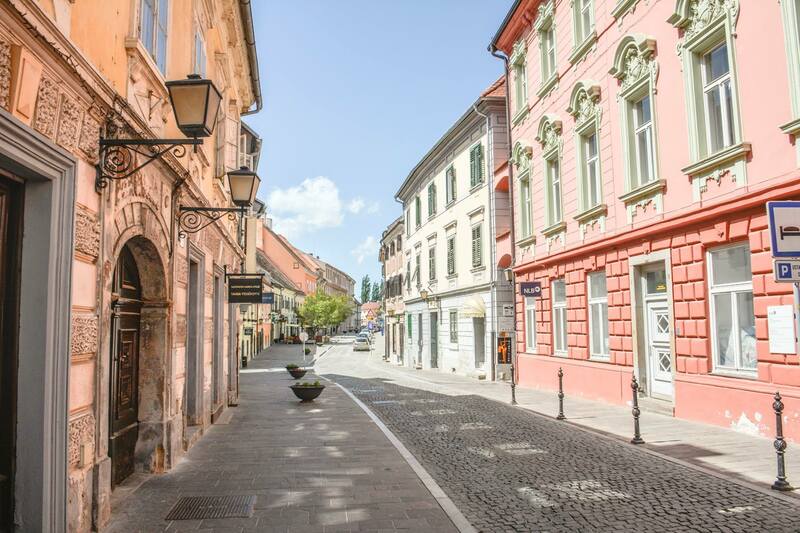 Spend the mornings exploring the little walkways and narrow streets that are lined with independent shops and yummy eateries. For a little art, head over to the Rarity Gallery, swiftly followed by a Dio Horia gallery which is within walking distance of each other. After a bite to eat at Katerina’s Restaurant (which serves up an epic grilled octopus), head over to the Old Port of the city and explore the waterfront. 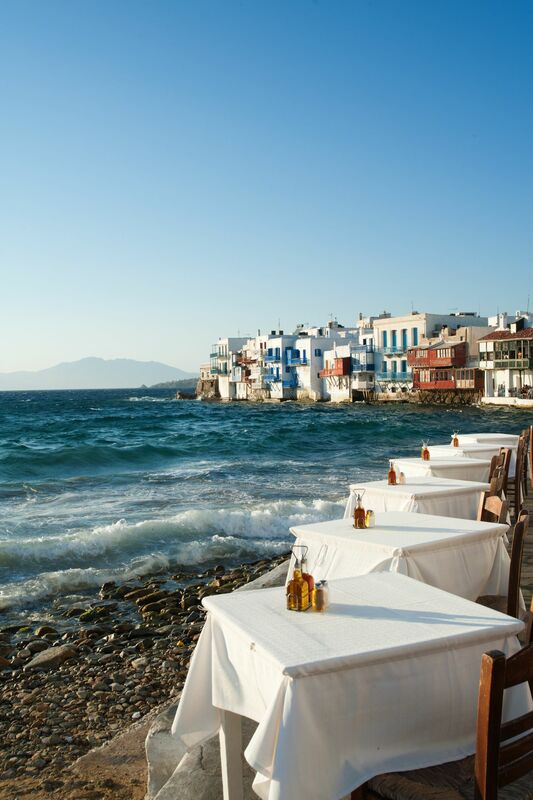 It really is one of the best things to do in Mykonos. 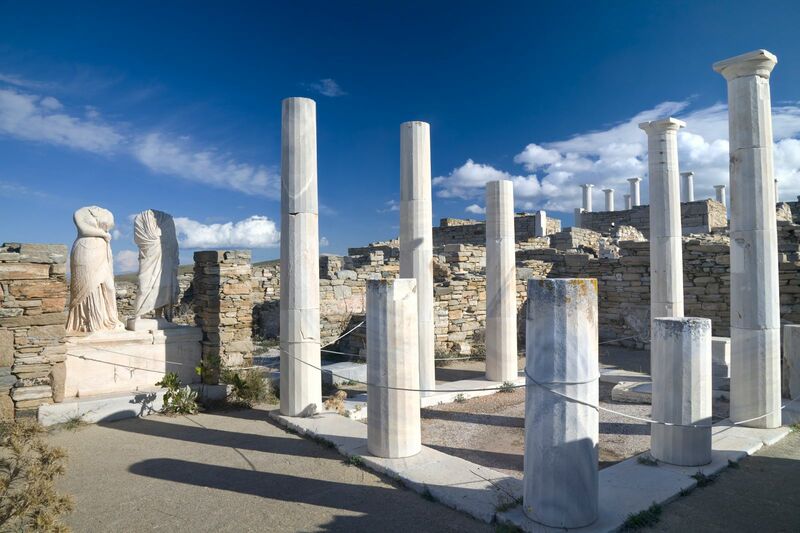 Delos Island is one amazing little island (yes, smaller than Mykonos) that you have to visit. Perfect for a day trip, depart for Delos from Mykonos Town (which is around 5-8 miles away). 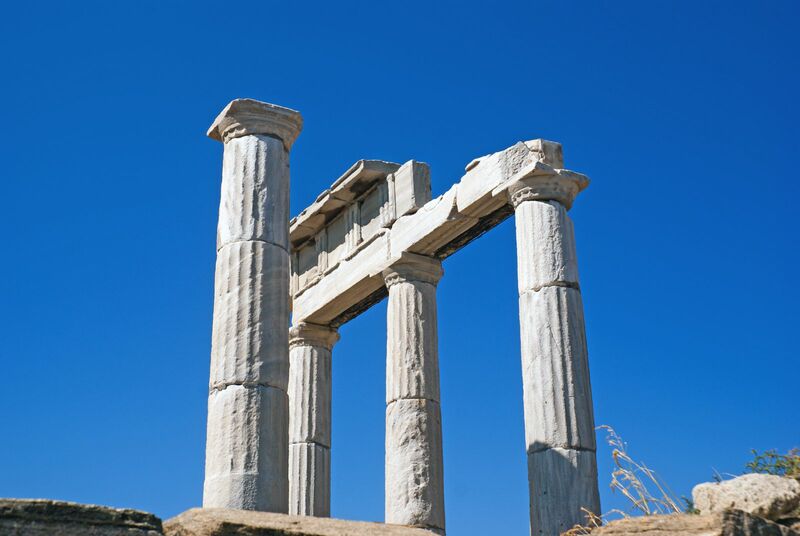 Delos Tours offer day trips for around €20. Once you’re there, make sure to go for a swim in the islands crystal clear waters and take in a little history by visiting the mythological birthplace of Apollo! Head over to the House of Cleopatra, see the Agora of the Italians and explore the Lions’ Terrace. 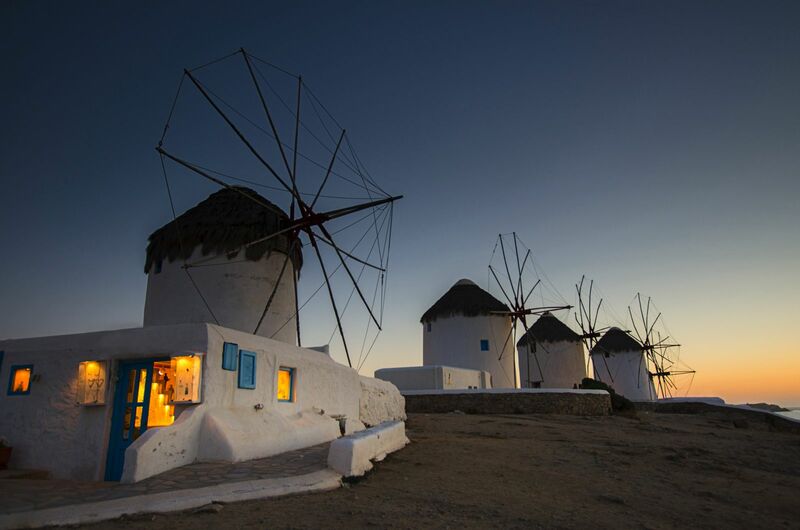 Okay, you can’t visit Mykonos without seeing the windmills, it’s easily one of the most iconic and best things to do in Mykonos. Although you might not be blown away by their incredible height or dramatic cliff like positions, they are a pretty iconic monument of the island and actually have lots of amazing history to learn from. 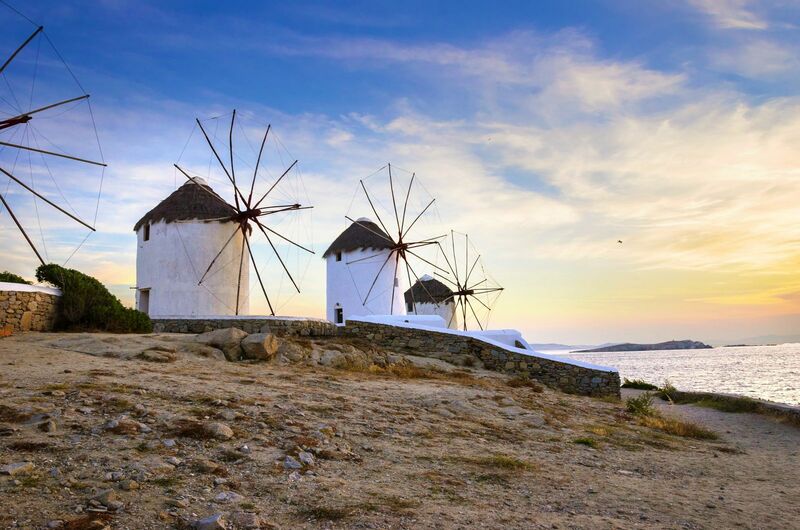 The windmills are situated on the coastline within Mykonos Town itself and easily seen when you’re here. Make sure to head to Little Venice (on the opposite shoreline within the city), especially around sunset. 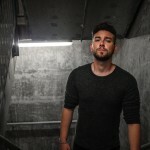 Mykonos might be a tranquil little Greek gem but it’s also got some wild bars and music to experience. In the day, hop over to Paradise Beach where you can grab some epic cocktails at The Tropicana Beach Club. In the evening, bounce on up to Cavo Paradiso that’s perched overlooking the town itself. Think DJ sets, big crowds and a pool, obviously! 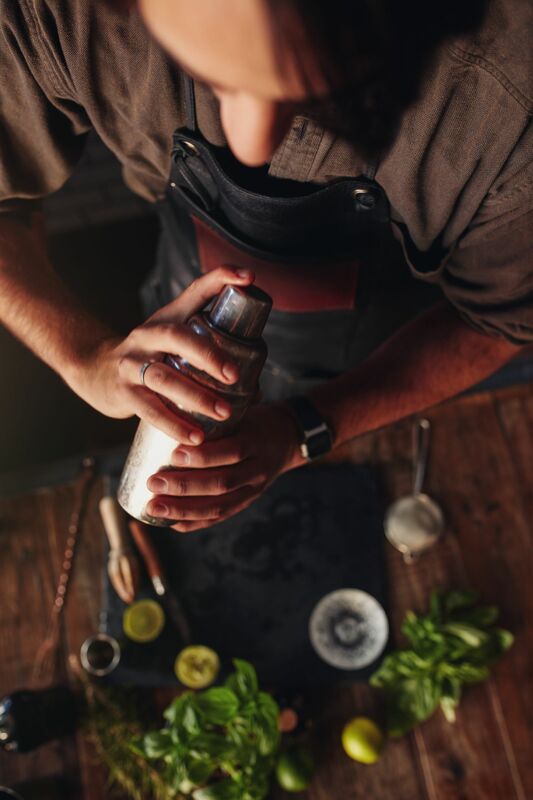 If big crowds aren’t your thing, head over to the more intimate bars which spill out into the small streets and waterfront. 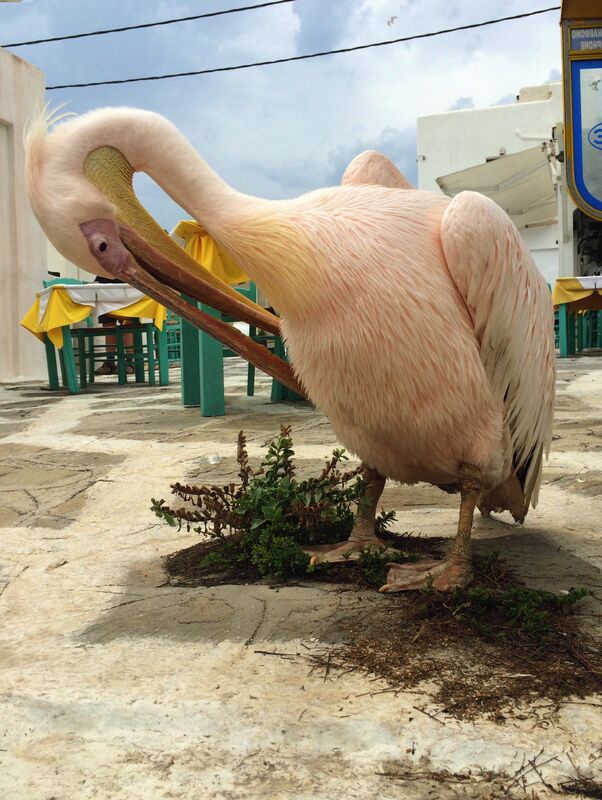 Yep, Petros is one of the islands most famous residents and can often be found wobbling along the harbourfront area. His waddle always makes it looks like he’s had far too many Ouzos… haha! Anyway, before I ramble on about his tipsy walking, make sure to keep your eyes peeled when you arrive, he’s most definitely the island’s mascot. 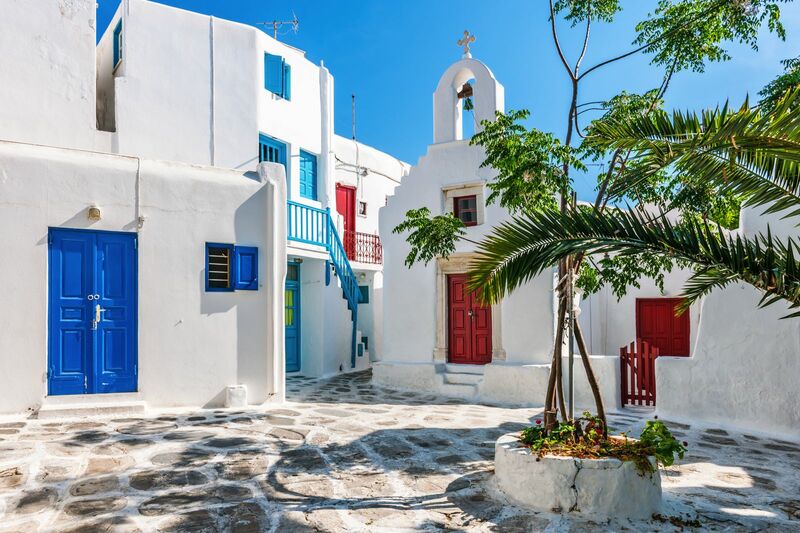 Within the main town of Mykonos itself, Paraportiani Church is a gorgeous example of historic churches on the island. Well over 500 years since construction commenced, it’s one beautiful church that you can easily visit when on the island. 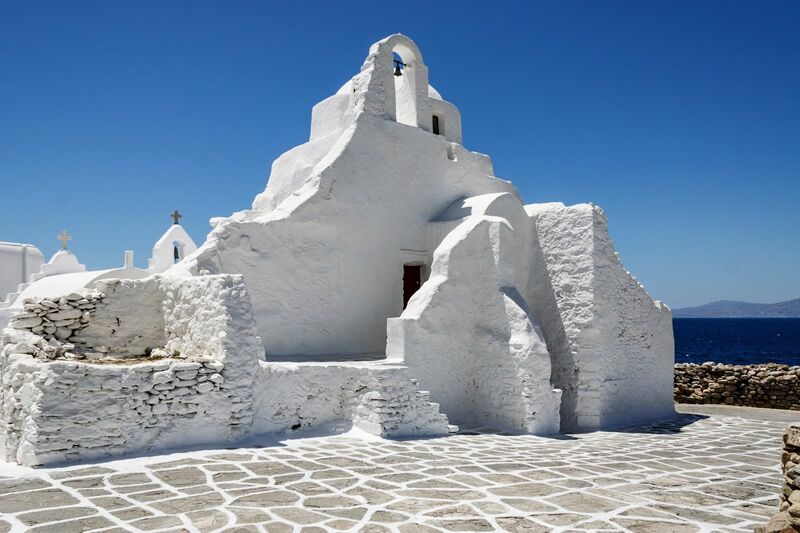 About 6 miles from the centre of Mykonos Town, Panagia Tourliani is, arguably, the islands prettiest monastery to visit. 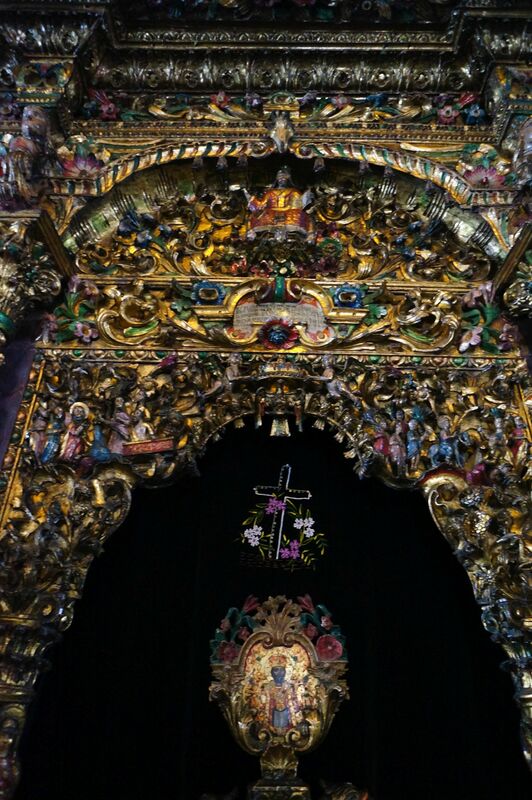 Inside, you can see lots of eastern influence in the construction and decoration of the worship area – it’s almost like an open book of centuries of history. If you’re in the area, head over to Monastery of Paleokastro, too – it’s less than a mile away and easy to explore. Now, this has to be one of the smallest churches on the island! 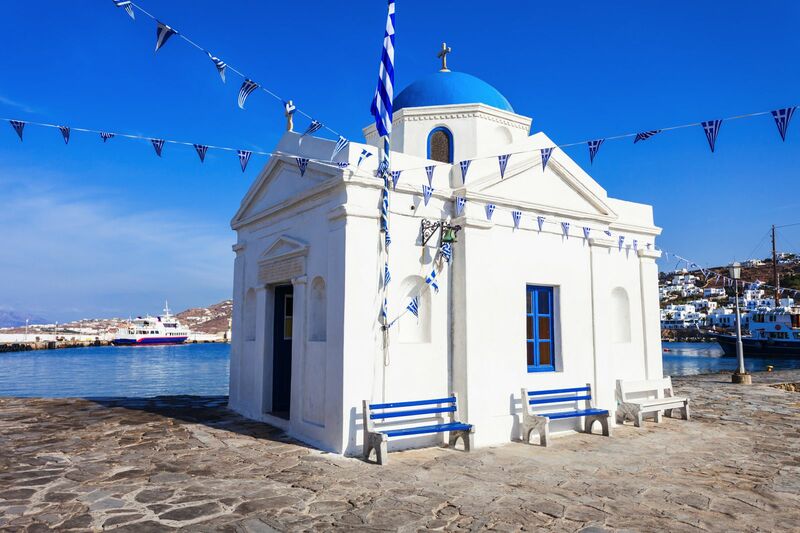 Perched right on the harbour front of Mykonos Town, the Agios Nikolaos Church is typically Greek with its blue dome and white-washed walls. Yes, it might be small but you should definitely take a look when in the area. Yup, Mykonos has its own Little Venice in the town itself. Perched right on the waterfront, head here for some stunning sunsets and a bite to eat. You might find the bars and restaurants a tad bit more expensive in this area but that shouldn’t stop you from going. It’s also a great place to chill out with friends and travel buddies in the late evening. Top tip: Try to watch the sunset when those massive cruise ships aren’t docked in the area as they tend to block out the sunset. 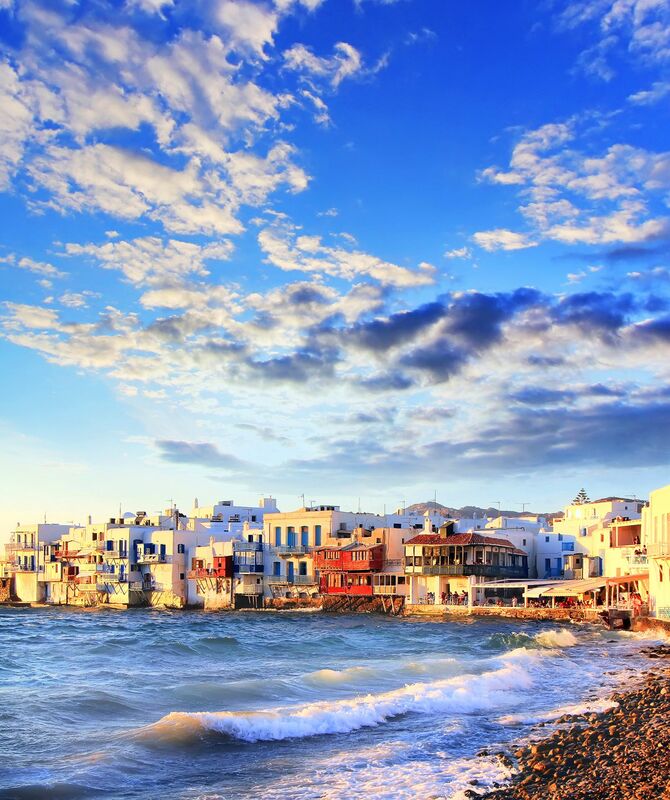 Mykonos is a tiny island and one that can be zoomed around on your own little moped with ease! 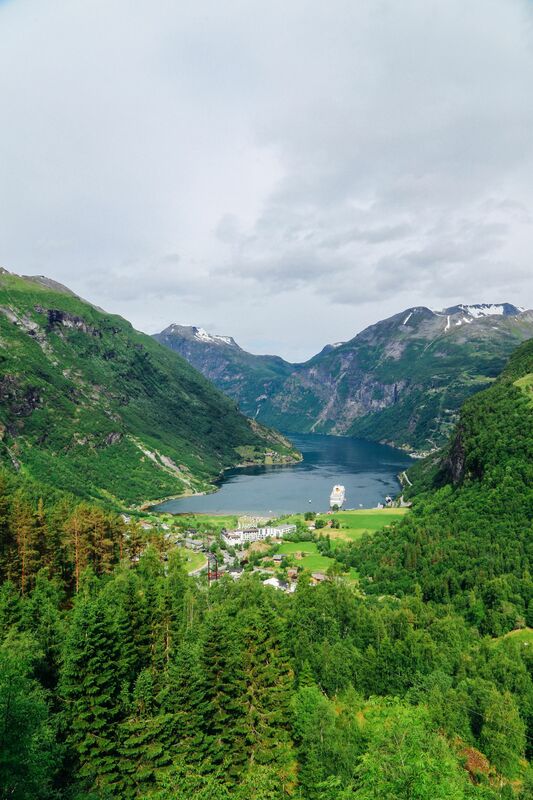 Pack a backpack of sunblock, towels and plenty of water and head out into the rolling hills of this gorgeous island. I guarantee you’ll find a shed load of amazing pit stops and secluded little coves you’ll be itching to explore. 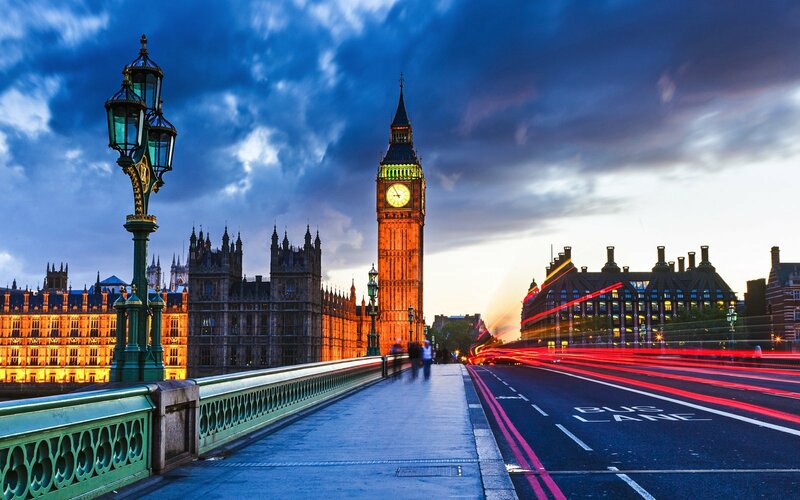 Mopeds are easy to hire from lots of places in the main town – you’ll be spoilt for choice! Like I mentioned before, only ride a moped if you feel safe, confident and you have the licence to do so. 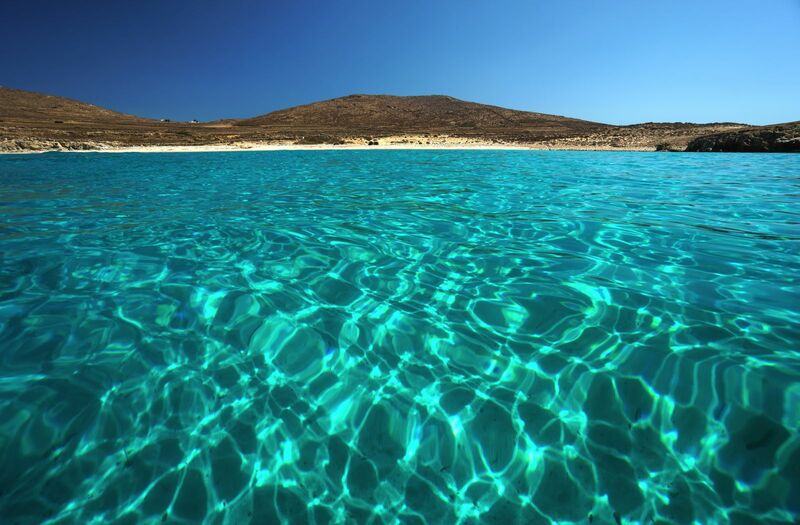 Over on the other side of the island, away from Mykonos Town is one tranquil and peaceful beach you’ll want to enjoy. Don’t expect a huge infrastructure of showers, etc – it really is as natural as a beach comes. Hop on your moped (or grab a taxi) and head here for a few hours relaxation. 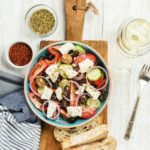 Make sure to grab a yummy bite to eat at Fokos Taverna, their Greek Salads are incredible on a hot Summers day. Alternatively, If you’re visiting Delos Island, you can grab your boat tickets from Mykonos Town harbour. 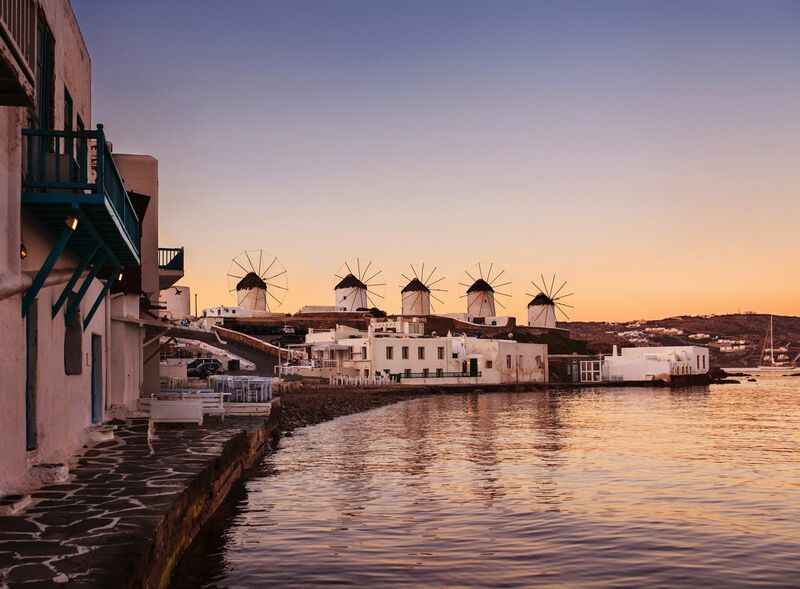 It really is one of the best things to do in Mykonos if you want to explore more of the area.